Iylia Jamil has given himself a good chance of celebrating his birthday this week in some style – with a victory in the Professional Golf of Malaysia (PGM) Tour’s Darulaman Closed Championship. A two-time winner of Tour, Iylia shot six-under 66 to move three strokes clear of the field after the third round at Darulaman Golf & Country Club in Kedah today. That left him 12- under for the tournament on 204, with a day to go. And what a week it would be if he could wrap it up tomorrow and mark his 25th birthday, which he celebrated yesterday, with a win. 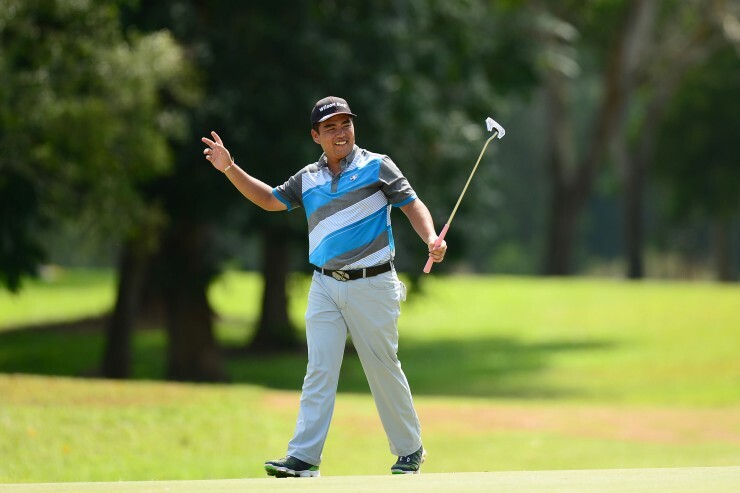 Khor Kheng Hwai, who led the RM180,000 event over the first two rounds, carded a second successive 71 and slipped to second place on nine-under, while R. Nachimuthu retained third spot with a 69. He was eighth-under 208. Wilson Choo made up some ground with an impressive 67 that took him to seven-under 209 and fourth place, while Kim Leun Kwang shot a two-under 70 for a 212 and fifth place, three shots back. Following wins at the 2011 Kinrara Classic and 2012 Rahman Classic, Iylia stands on the threshold of a third Tour title and knows it’s within his grasp. “I need to stay focused tomorrow, but I also know I will not put myself under any extra pressure,” he said. “I’ve been in this situation before and know what to do and what is expected of me. “In fact, I had a few similar occasions this season. But I didn’t manage to close it out – hopefully I can do it here. Iylia had eight birdies on his card and a bogey. He was four-under at the turn and then five-under at the 10thhole. However, he gave a shot back at the par-3 11th when a short putt horse-shoed around the lip of the cup and stayed up.